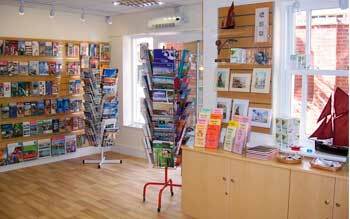 Visit the Maldon Tourist Information Centre where specially trained staff offer expert, friendly advice on what to see and do in the Maldon district. You will find a stock of brochures for Maldon and other areas of the UK containing information and ideas for your summer holiday or short break. Explore the area using the walking and cycling guides, Ordinance Survey maps and public transport timetables. Open all year 10am - 4pm on Monday*, Tuesday, Thursday, Friday & Saturday.